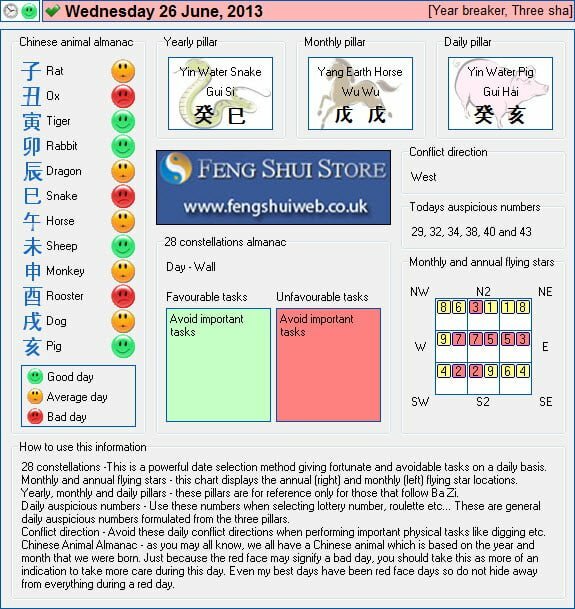 Here is the Free Feng Shui Tong Shu Almanac for Wednesday 26th June 2013. In order to plan the operation for my son, ı need monthly almanac or yearly . Is it possible?